Remington 700 is well-known to serve several uses from civilians, hunters, to law enforcement. However, not many shooters pay attention to get the right set of the scope mount. We’ve got the work done here. 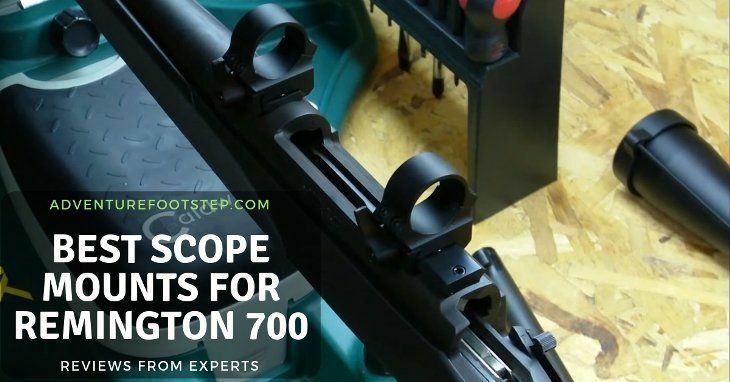 All you have to do is to read through the reviews of the best scope mounts for Remington 700 and match it with your need. You will need to tell which quality and characteristics you want to go after for your mount. Let’s check out the criteria a scope mount bears to throw into the cart. Commonly, aluminum is the material that gives strength to last and less mass to handle. It can yet take up abuse from recoil helps you last longer in one shooting section. Other material can count steel and other types of metal. However, whichever you choose, stick to the lightweight and efficiency. The unibody mounts make the installation mess-free since all parts have come at one place. All you do is screw driving the base to the rifle receiver. Parallel aligned split rings will be inserted after you mount the scope on, just another screwing section. If you want rigidity, a lot of people go with the one-piece. There’s really nothing to go wrong. The other advantage to a one-piece scope mount is if you are using an old rifle drilled by an amateur, the one-piece will make sure everything will stay aligned. For such a long range rifle like the Rem 700, you will find the Picatinny rails with 20, 30 or 40 MOA built into them are great. On the other hand, the two-piece mounts look alike, but they are actually two parts to mount together. The rear component goes to the receiver end whereas the other one will stand ahead of the ejection port. There is more alignment work to do with the two-piece mounts. You can add space to facilitate loading ammunition into your rifle by adjusting the distance between the rings. This system gives you more clearance to your fingers. When you load and unload from the top on most bolt-actions, you can get your fingers in and out to clear a jam, putting cartridges and taking them out. Generally, there is much more room to work with, even when you wear gloves on a cold day. You will get the rings on the base tightened using levers to modify quickly. You may have heard of Picatinny and Weaver rails. Those guys let you mount with speed thus making it ideal for long-range shooting. In particular, the convenient lever system lets you take your scope on and off your rifle; then return the optic right back to make it return to zero. That means if you’re going to a hunting camp, a shooting event or whatever it might be where you have to take the scope off, you can pop it back on to be exactly where you had it sighted in. If you are a traveling hunter, this can be especially helpful as you carry multiple rifles in one gun case. Many scopes won’t fit in your case, but if you can take those off, your gun will find space to breathe. When you hit the camp, you already have the scope mounted on your hand. Snap in the rifle in one step, and you’re ready to fire right out of the gate. Scopes come in a lot of different front objective diameters. From 20mm, 32mm, to 40mm and 50mm. The larger this number is, the higher the ring you should have. The ring itself typically ranges from low, medium to high. The difference is the amount of wedge between the bottom of the scope and that of the ring. Most people tell you to the lowest rings you can get consistent with getting the front of the scope to clear the barrel. That’s good advice but only a part of a picture. The convenience of having a quick detached mount means nothing if you don’t get a good return to zero when you replace the mount on the rail. As you lift the gun to your shoulder and put your cheek on the stock, you want it to be right there. The whole idea is to have the scope at your optimalcomfort to have the clearest picture. This is a quick detach scope mount by which all others judged. It is a piece of aluminum made to be unique. It has a vertical orientation of its rings that are available from one inch to 35mm in diameter. This feature starts out by putting threaded inserts onto the rings that lock them into the base. Admittedly, it prevents them from having a front to back offset. Now that means a lot to mount a scope. You don’t have to rotate the optic during the process. More importantly, you’re not going to shoot your scope loose once you take it to the range. LT104 is aka SPR 1.5. That’s because the mount puts axis of the scope an inch and a half above the rail. We’d say that’s about the same height as a set of iron sights. It is possible for this gear to hang up on any locking lever and pop it open. 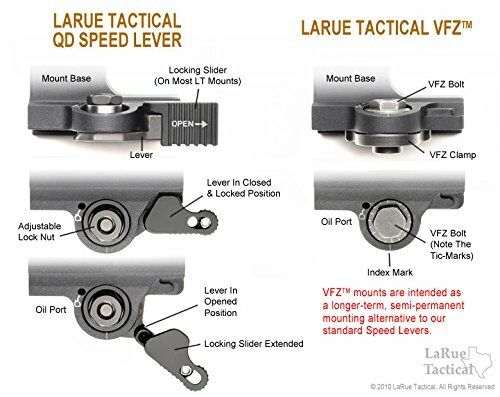 Larue Tactical solves this problem by putting a locking mechanism on the rear lever. 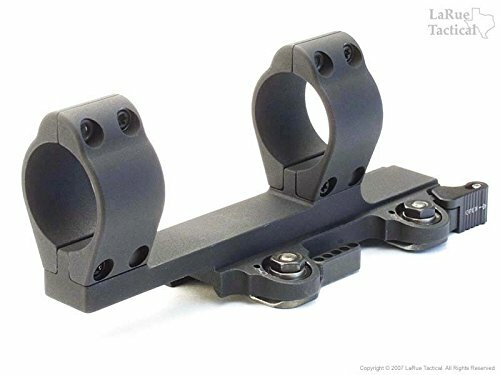 What makes this mount different from a typical quick detached system is that instead of clamping the mount onto the rail, it wedges from underneath. This makes sure that the mount has complete purchase on the rail from front to back on both sides. Avid shooters rarely go wrong with Leupold at many points. The feel on the aircraft grade aluminum is a pleasure, but there are more to admire. 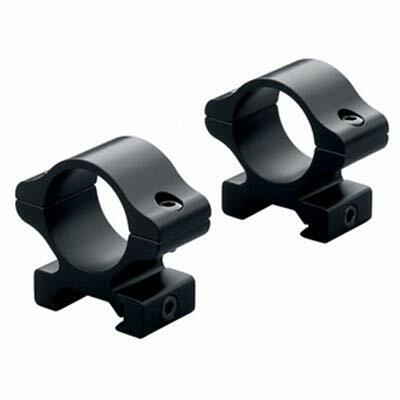 It is a scope mounting solution that fits Picatinny rail and any 1-inch scope body. They are offset slightly to the rear. These scope rings are perfect on our Redfield Revolution 3-9x40. in which we can rest the cheek on the stock and see through it. It holds 1-inch tube scopes beyond the expectation. That is a lot meaningful to for long range shooting since the No 20 MOA offset option is there to let you hold zero at a greater distance. We could say this mount is rock solid and more than easy to use. In term of durability, we always prior to the long-lasting and we went so pleased with this model. The Game Reaper comes with all the equipment you need to install the mount. It is machined from solid tempered billet 6061 T6 aluminum. The one-piece design contains no plethora of details. There are no moving parts between the scope and the firearm for extreme accuracy. Also, fewer parts mean less failure to meet during the use. It completely wipes out windage screws, yet holds tight on any caliber firearm. Moreover, the ring placement allows extra eye relief adjustment — no need for Loctite. Scopes from 1 inch to 30mm, this Game Reaper can home them adequately. What’s better? For the original stock comb, the scope stands the height perfectly. 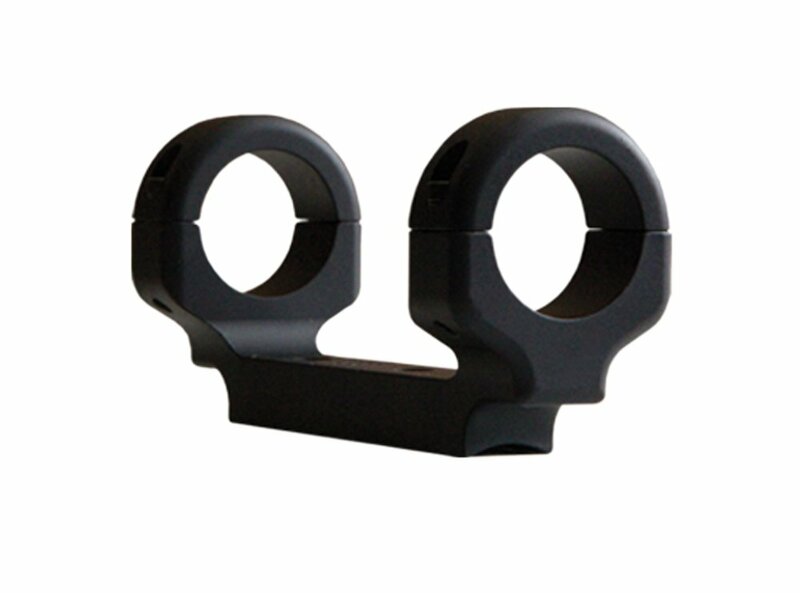 The manufacturer offers this scope to have a lifetime guarantee to complement your shooting experience. Befriended with a Rem 700 means you’re going to indulge into lots of hunting and long range shooting. To take all the advantage out of its accuracy of a superb platform, you can’t skip choosing the right perfect scope. It is good that you have more than one option of scope mount to go with. Whether it’s going to be a one-piece, two-piece or a quick detach system, give yourself the most comfort you can find. We hope our recommendations have helped you to achieve the true potential of your Remington 700.